Log in to your legacy RefWorks Account to migrate to RefWorks 2.0 today! Current RefWorks users have two option for moving existing references into the New RefWorks. When you log in to your existing RefWorks account, you will see an option to “Move to the newest version of RefWorks." 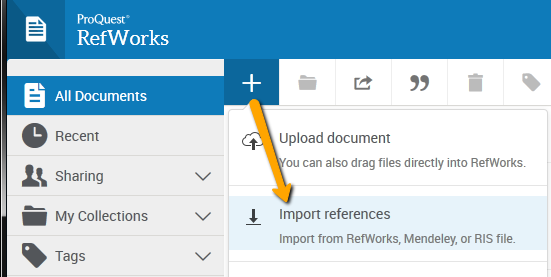 Or you can bring your existing RefWorks data into the New RefWorks from within your New RefWorks account via Import references.